This book identifies the current role and effectiveness of e-learning and its key issues in an industrial context. 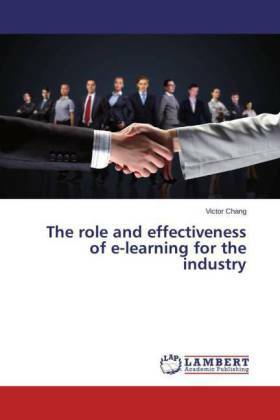 The first objective is to identify the role of e-learning, particularly in staff training and executive education, where e-learning (online, computer-based or videoconferencing learning) has made significant impacts and contributions to several organisations such as the Royal Bank of Scotland, Cisco and Cap Gemini Earnst and Young. The second objective of this research is to understand the effectiveness of e-learning. This can be classified into two key issues: (1) methods of e-learning implementations; and (2) factors influencing effective and ineffective e-learning implementations. From Chapter Five, a proposed way is to retain the decentralised implementation while co-ordinating at a centralised way. Another learning point is about interactive learning (IL), the combination of both e-learning and face-to-face learning. IL has been making contributions to several organisations, including the increase in motivation, learning interests and also efficiency.